Over 20 children gathered around Daniel in Mason City last week as he shared stories about his captivity in Babylon. 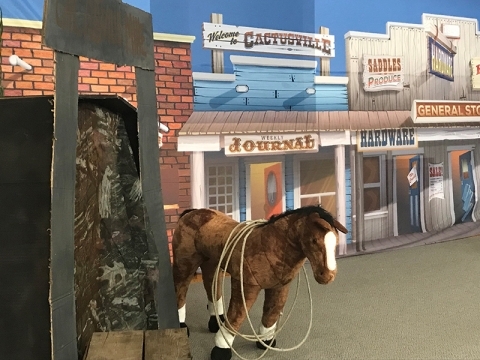 It was all part of the Mason City Church’s Vacation Bible School, themed Courage Among Lions, that ran from July 30 – Aug. 3. 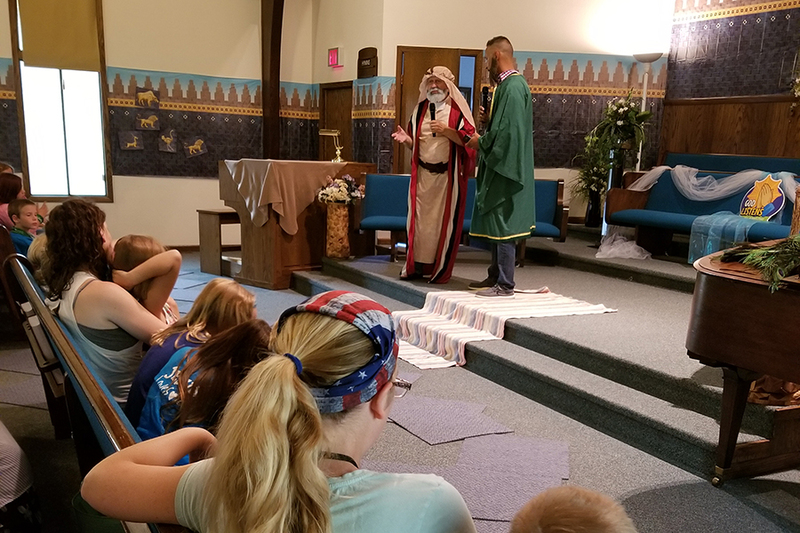 During the week, children learned about the Babylonian captivity from Daniel himself (portrayed by David Tice, an elder at the Charles City Church), with help from a Hebrew reporter named Reuben (portrayed by Darren Robinson, pastor of the Mason City Church). 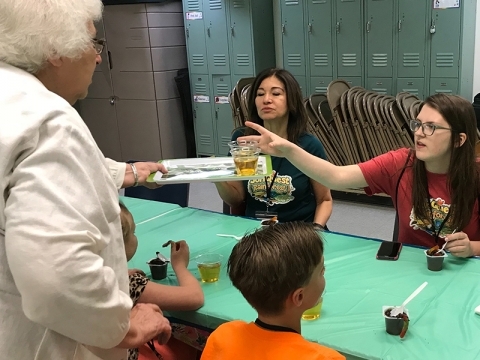 To promote the VBS, the church participated in Clear Lake’s local Fourth of July Parade and also ran a booth at the North Iowa Fair, where they invited the children of families they encountered. Volunteers found unity of purpose in a focused approach to combine different outlets of ministry with the same goals. 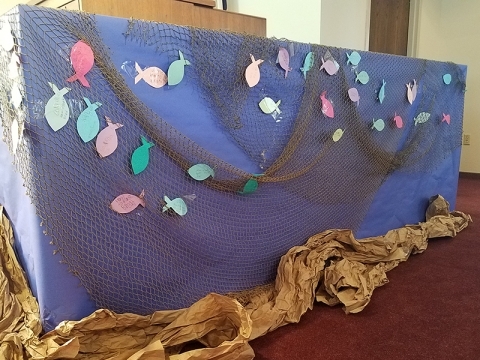 It was especially encouraging to see church and district members, as well as faithful guests who are not yet members, all step up to lend their time and talents to meet this need. Prayer kept the volunteers encouraged to keep moving forward, and God blessed their efforts by providing the opportunity to share the love of Jesus with these children. Missy Bull is communication leader for the Mason City Church.